Totally renovated cozy studio apartment in Milan, in the most prestigious location in Navigli district. On 3rd floor with elevator of an ancient renovated building in perfect conditions. Living room with a couch and a modern fully equipped kitchen, table and chairs. Loft double bed, the ceiling is about 140 cm high. Beautiful up-to-date bathroom with a large shower with mosaic, washing machine. The apartment is bright and quiet, facing the inner courtyard with a nice balcony. 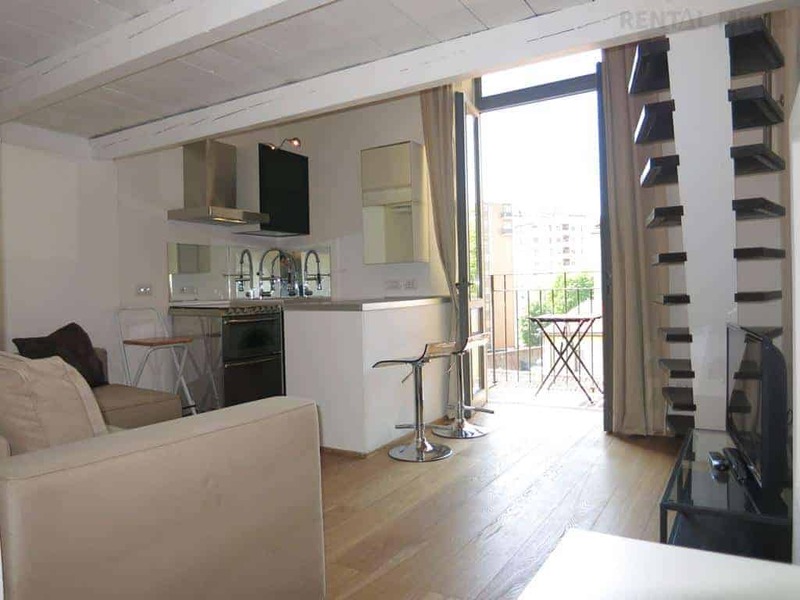 The apartment is located in the most famous and typical district in Milan: Navigli. Along the Naviglio Grande, the best Italian restaurants, the most particular shops, art galleries, bars for “aperitivo”.